New Delhi's polluted air is a concern for golfers at a key Asian Tour event in the Indian capital this week, according to leading player Shiv Kapur. Kapur said he would struggle through the Panasonic Open India starting Thursday but foreign players in particular would have a hard time in the growing smog. "You are spending five hours outdoors in bad air and smog," the 36-year-old defending champion said. "You are out there for a long period of time." "I think for some of us we are kind of immune to it now. But it's not a good thing, the visitors and foreigners struggle a bit more," added Kapur, who is from Delhi. The Indian capital's pollution has taken a toll on sport. Last December Sri Lankan cricketers wore face masks during a Test match in Delhi to protest at the hazardous smog. International cricket matches are no longer organised in the city during the winter months when the toxic smog is at a peak. Some runners wore masks during the Delhi half marathon on Sunday, when the US embassy website showed levels of the smallest, most harmful air pollutants reached 199 -- eight times the World Health Organization's recommended maximum. "I haven't found it as bad this year as it was last year," said Kapur. "Visibility was a bit of an issue. You feel a bit of fatigue and stuff." He added: "I am like a street dog. I am used to every kind of ailment and air quality that is out there. "As sportsmen we are made to be hardy, play in whatever course conditions, whatever weather conditions. Hopefully we will get through without any issues." Another rising Indian golfer Viraj Madappa is also troubled by the pollution. "It is definitely something to be concerned about. It's not the most ideal condition to be living in. It will affect us over a long period," the 21-year-old Madappa told AFP. "But I feel it's going to be the same for everyone. Some of the Delhi guys are used to it. It's easier to catch an infection that's in the air. Some of my friends have got a bad throat or fever," Madappa, who comes from Bangalore, said. Madappa said that while wearing a pollution mask remains an option it is not common in golf. Every winter, air pollution in Delhi soars as cooler air traps harmful particles from crop fires, exhaust fumes, construction dust and industrial emissions. 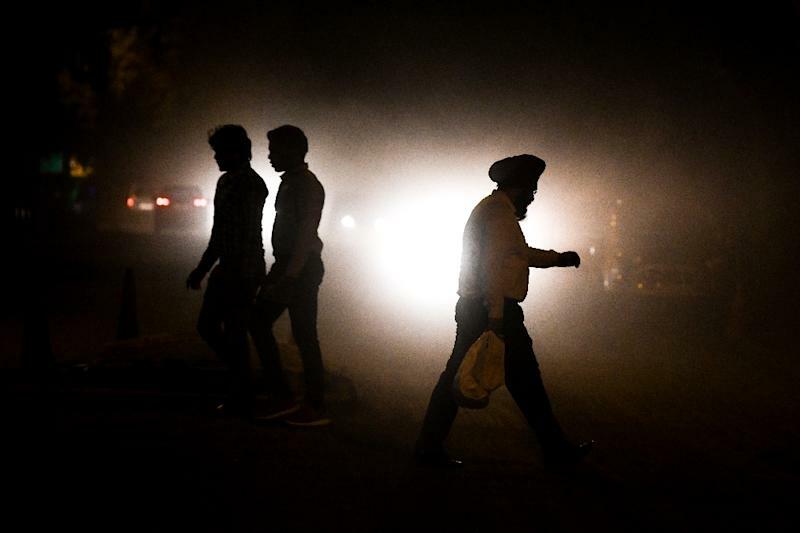 Smog has climbed in recent weeks as temperatures have fallen and smoke from burning stubble in neighbouring states has reached the capital, mingling with urban pollutants. The WHO in May listed 14 Indian cities, including Delhi, in the world's top 15 with the dirtiest air.